And I’m not talking about the four miles I did with Mutley this evening! It just died on me the day after I last used it (Nov 20th) and nothing I could do would get it working again. After a couple of emails to Garmin support, they agreed that it needed looking at and so I sent it off. They swopped it without any quibbles, and it has only taken this long to get back out with it because of the snow. This both delayed the courier who was delivering the refurbished unit and me from getting out with it, having received it on Friday last week. The unit looks brand new, although it came in a box with a refurbished sticker on it. It isn’t actually the same unit as the serial number is different, so technically my original Garmin is still out there somewhere. But for the purposes of this blog, it’s journey is done. 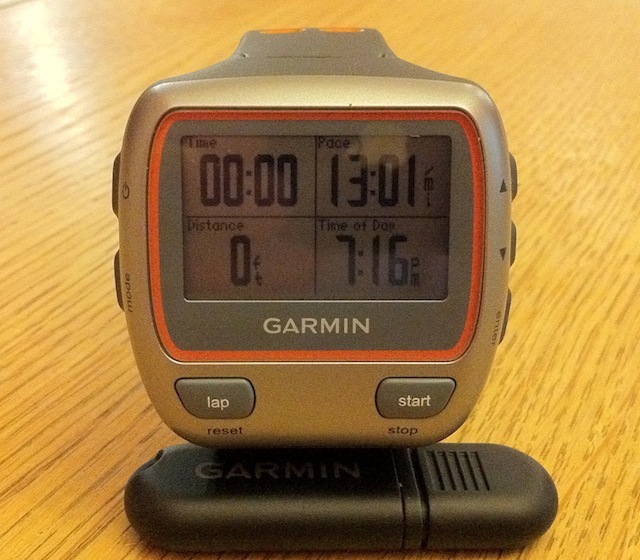 All round excellent service, so thank you Garmin UK! It feels good to be training outside as well. Running machines and turbo trainers are no substitute for fresh air! For the last fortnight with snow on the ground, cycling and running has been impossible, but the paths are clear enough now that I don’t have to run in the road. It’s amazing what a day of rain will do.